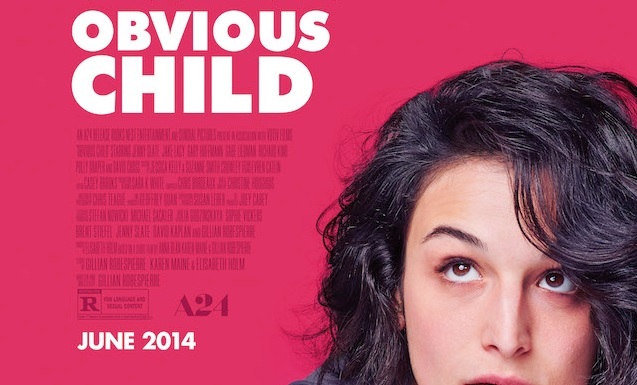 I Saw ‘Obvious Child.’ It Didn’t Help. When “Obvious Child” hit theaters this month, conservatives were aghast the media glorified it – without irony – as an “abortion romantic comedy.” Liberals lashed back, claiming, like the movie’s Director Gillian Robespierre, that "[Conservatives bashing Obvious Child] haven't seen the movie; they're basing it on articles and trailers." That defense is bogus. We are, after all, talking about the destruction of innocent human life – something nearly impossible to contextualize and utterly repulsive as a romantic comedy plot device. Still, I decided to play along. 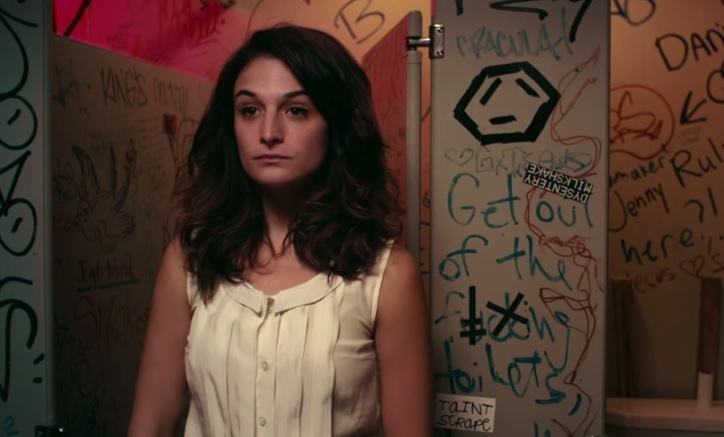 Taking place in Brooklyn, “Obvious Child” follows 28-year-old aspiring comedian Donna Stern (SNL’s Jenny Slate) as she cracks jokes about vaginas, “working dicks,” and masturbation on stage – while farting into the mic. Then Donna’s boyfriend cheats on her, she loses her apartment, and gets pregnant in a one-night-stand. Thus begins Robespierre’s film about “self-discovery and empowerment” and the “realities of independent womanhood.” The Kickstarter-launched film initially gained momentum with distributor A24 after premiering at Sundance earlier this year. According to Robespierre, her creation is a reaction against movies like “Juno” and “Knocked Up,” where the babies live: a “misrepresentation of women on screen when it came to unplanned pregnancy.” Rather, a “correct” representation, as told by “Obvious Child,” entails a casual abortion which jumpstarts a love story. And she does cry – but only over the cost of her Valentine’s Day abortion: $500. “That’s like my whole rent,” she sobs. While Donna’s roommate Nellie advises her to not to tell the father, Max (Jake Lacy), that she’s pregnant with his child (she doesn’t “owe him anything” in this “patriarchal society”), Donna does try multiple times – at a date, on the phone – but to no avail. When a troubled Donna crawls into bed with her mother one late night, she decides to tell her, “I’m pregnant, I’m having an abortion.” Her mom merely responds, “Thank God, I thought you going to say you were moving to LA.” The audience is then treated to the story of her own (then illegal) abortion. The abortion itself consists of a camera on Donna’s face and a slight buzzing noise. While Donna initially tears up under sedation, she soon finds herself in a room full of women that looks like a hair parlor. They look at each other shyly and begin smiling. But when HuffPost Live Host Ricky Camilleri brought up women’s reproductive rights, Robespierre changed her tune: “women's rights are under attack, and I think that there's a lot of stigma and shame attached with the word and we're just trying to tell one woman's story, and that's having a safe, regrets-free abortion. And that's Donna's story.” That’s Donna’s story. But Donna’s story doesn’t work. Although adored by the “pro-choice” community and organizations like Planned Parenthood that lobbies we’re “not in her shoes” because abortion is “a deeply personal and often complex decision,” the movie surprisingly deemphasizes choice. With job loss, apartment loss, and a budding relationship, Donna’s “choice” appears limited – and never once does the camera hint at the process of her decision. Yes, I empathized for Donna, felt her situation. But, at the same time, the movie forgets to voice women who choose life – AND women who choose abortion. The “comedy” makes a joke out of women who go through a difficult decision to abort and ignores regrets of women who do. They exist. Very true. That is, if living is an option – for the not-so-obvious child.